Tim and I had never heard of Nagoya before in our life until we were going there. In fact, I don’t think I have ever met anyone who has ever even been there. We had to look it up. It turns out Nagoya is the fourth largest city in Japan and in the area of central Japan. There wasn’t much that was fascinating about it, but then we were only spending nine hours there. We ended up with the stopover after I became desperate to get us home without shelling out an extra thousand dollars more than we had budgeted. We had found flights earlier that went from Manila to Hawaii, and then Hawaii home for a good deal. When we went to book, those rates were no longer there. It’s a likely story when you’re living your life one “one-way ticket” to the next. I have a PhD in flight route planning these days. I have most airport codes memorized and a good understanding of what airlines fly where. I use several resources to find airlines that aren’t listed on regular sites, and we’re not above wiring money or paying cash in person. When all of these options fail though, I use the kayak multi-stop function. It saved us a ton of money on our tickets. It also earned us 9 hours in Nagoya, Japan. We landed in Nagoya at 11am. An American flight attendant urged us not to go into the city because of radiation levels. This was BS. We were further from the nuclear plants than Tokyo. We ignored her. We stood in the wrong line, finally found the right customs area, got stamped (no visa required), and headed for the trains. We put our carry-ons in a locker and grabbed a map…in Japanese. This was our first sign that our day-trip was not going to go well. I stared at the map with Japanese characters marking each stop, turned to Tim and said well let’s buy a ticket. Buying a ticket required a lot of pointing and shaking our heads no. This was not good. We finally got our tickets and were on the train. All we had to do was look for the character that looks like a house followed the one that looks short of like a “W” (but not) to come up and that was our stop. We went to the next stop, got off, and took the train in the opposite direction. It was an express all the way back to the airport. So, about 50 minutes after leaving the airport we were back again. We tried a third time, this time I pointed at the map to a father with two children beside me and mimed for him to tell me when we were at the stop. Success! Now we needed to locate the local subway to Nagoya Castle. This took some patience but ultimately we arrived. 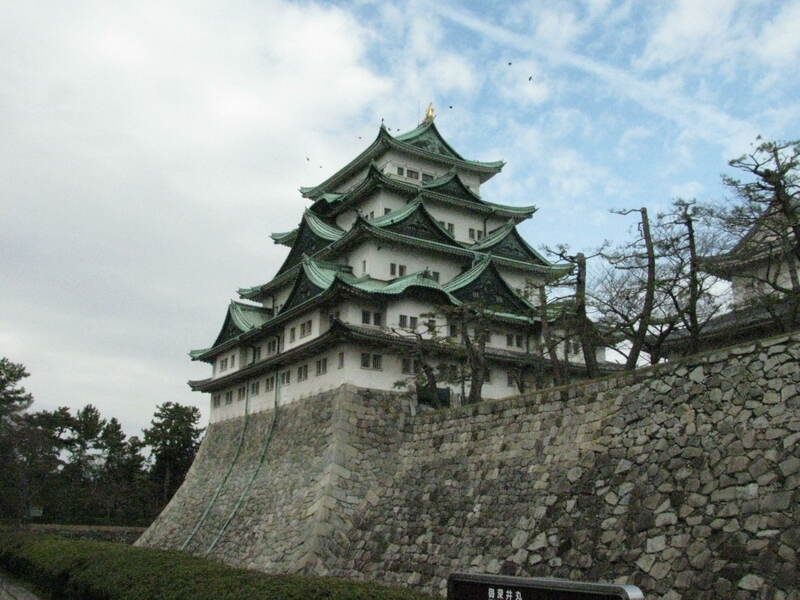 The Nagoya Castle was destroyed and this one was a replica of the fort like structure from almost a thousand years ago. We were thankful that some of information was in English, although we didn’t see one non-Asian person there, or anywhere in Nagoya. 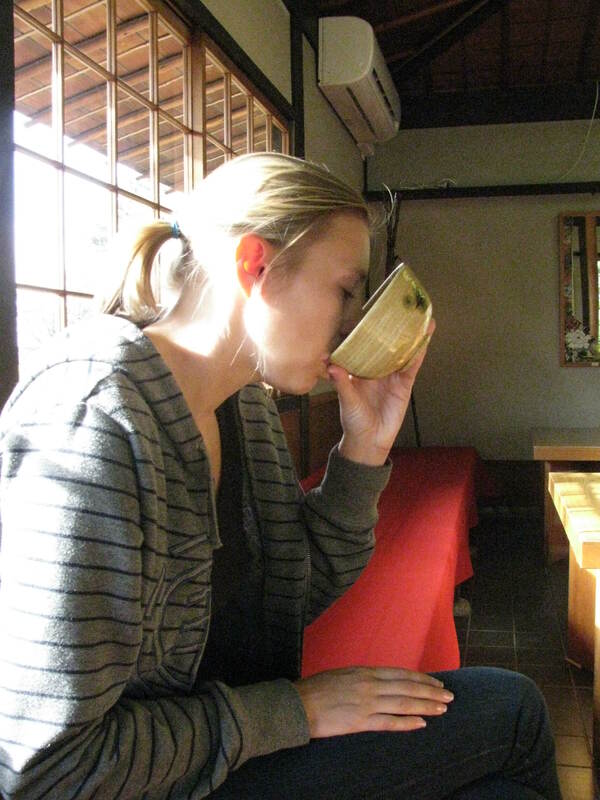 After a quick stop at a Tea house (I couldn’t resist), We only had one other thing that we needed to do. We were in search of Sushi. After wandering aimlessly, like the clueless foreigners that we were, we found a place that was exactly what we wanted. 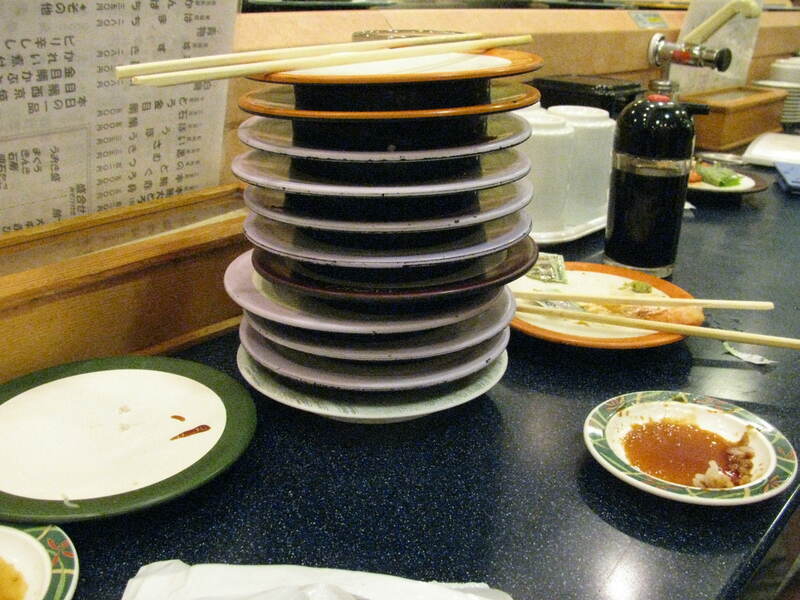 It was the kind of place that counts the plates when you’re done and adds up the price by color. We walked in and were created by shouts from the Sushi chefs behind the counter. Did we win some secret contest? No, it turns out they shout like that when anyone walks through the door. It’s like a surprise party every few minutes. Tim and I once again resorted to a mixture of pointing and we searched our brain for the Japanese words for the fish we wanted (suddenly very thankful sushi restaurants in the U.S. often keep the Japanese names on their menus). The sushi was fresh, unique, and had way too much wasabi. I was in tears, and Tim almost was too – from laughing at my face. I realized there was a thick layer of wasabi between the rice and fish in the maki rolls. Lesson learned. At the end, we probably ate as much as family of Japanese would eat, and it cost us about as much as we would have spent in a week on food in Cambodia. Stomachs full, we headed back to the airport ( a full 2 hours early). We had very little faith in our ability to navigate ourselves successfully back to the airport, but we did fine. A few hours in Nagoya was enough. We had certainly been spoiled by the amount of English there was around us in Southeast Asia. Japan seems to be for a different kind of traveler. One that has money, can pronounce sounds from pictures, and has had more than an hour of sleep. 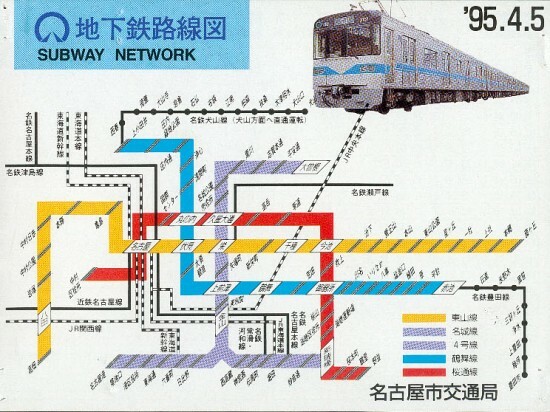 This Japanese subway reminds me of the complicated subway in Moscow. BTW-Great photos.